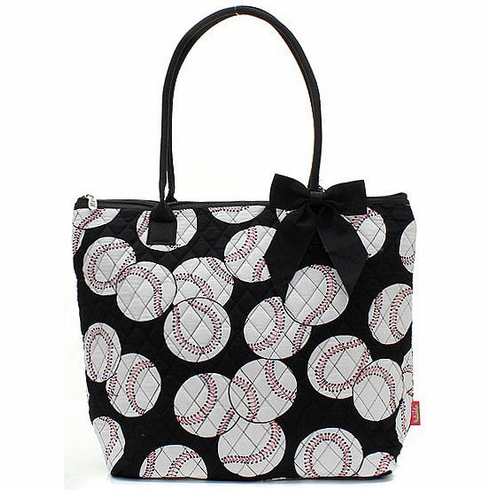 Baseballs on Black Quilted Tote Bag. Measures appx. 16"(L) x 13.5"(H) x 5"(W). Double handles have appx. 6" drop. Two wall zipper and 4 pouch pockets inside.